Have Album Intros Gotten Soft? With a few exceptions such as Meek Mill’s “Dreams And Nightmares,” Jay Z’s “What We Talkin’ About” and Drake’s “Tuscan Leather,” I can’t recall the latest hip-hop album I’ve listened to that had a hard-hitting introduction. It seems like nowadays no one is coming out the gate swinging. I mean really spittin’. When I was growing up, things were a bit different. 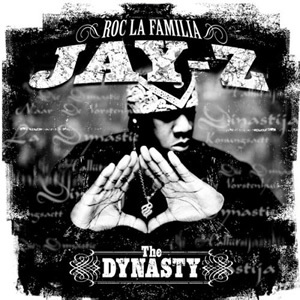 I remember popping in The Dynasty: Roc La Familia album and being mesmerized. Over the single-verse record, Hov rhymed, “I’m trying to be calm but I’m gon’ get richer. Through any means, with that thing that Malcolm palmed in the picture.” The Brooklyn MC also spit, “This is food for thought–you do the dishes.” C’mon now! I ran that record back numerous times, satisfied with the album almost immediately. There’s a reason why, 15 years later, it’s still one of the hardest album intros I’ve ever heard. Other notable intros from that time, up until about the mid-2000s include Dr. Dre, “The Watcher” from 2001; 2Pac’s “Ambitionz as a Ridah”; Jay Z’s “The Ruler’s Back” from The Blueprint; Clipse, “Intro,” from Lord Willin’ ; 50 Cent, “What Up Gangsta,” from Get Rich Or Die Tryin’ ; and The Game, “Westside Story,” from The Documentary. Ambient, more melodic intros are now replacing the upbeat ones, becoming the new-school norm. With instrumentation leading the way, and lyrics becoming more sung and less spoken, I can’t say that I’m a fan of the generational gap. Do artists still need to come in strong and introduce themselves or are listeners now more concerned about an overall coherent sounding piece of art? I won’t go on to list any unambitious album openers, or throw shade on those that I’ve expected more from, but overall, I miss the energetic opener. And even though I understand the idea that not every album needs to begin the same, you can’t blame me: I’m sure I’m not the only one who purchases hip-hop albums, expecting to hear rap to set the tone of the project.